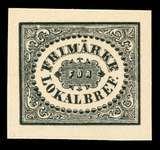 In addition to the price lists below, virtually all aspects of Faroe philately are in stock. If you are seeking blocks, plate blocks, mini sheets, revenue stamps, etc., please send your want list. 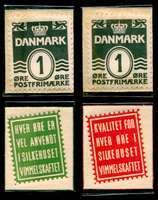 Also postal history and postmarks are available from both the post-1975 and the pre-1975 (thus with Danish stamps) eras. The Stamps including 1919 and WWII-era provisional overprints.